Meet Zachary and Amanda, siblings who came into the studio to have their portraits taken. What makes these portrait sessions so special is that even though they are brother and sister, each picture reflects who they are as an individual. Zachary is a musician studying both the viola and the piano. His favorite thing to do at the moment is play the viola. Amanda is a competitive and high school soccer player, which dominates most of her time and passion. Zachary wants to be a doctor and Amanda wants to have a career in Criminal Justice. We had a wonderful time getting to know them. The family had heard about Baldino Studios when Zachary won the concerto competition, a program in which we donate a gift certificate to the very talented and dedicated musicians for their accomplishment. When the portraits were finally revealed, we asked them and their awesome mom, Carol-Ann, to answer a few questions and tell us about their experience and themselves. 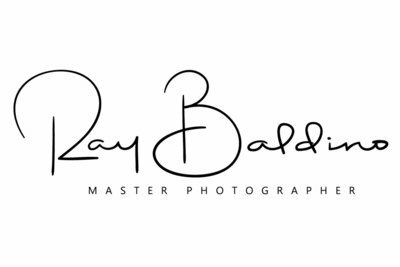 Zachary: It was really enjoyable and it was really cool to see how Ray photographs individuals. Amanda: It was fun to be a model for a day! The studio was stunning with all the props and pictures. Have you had their portraits taken before and how was this experience? Carol-Ann: I had their pictures taken when they were younger. Standard poses, brief time with photographer. With Ray Baldino it was a thoughtful and meaningful experience with an end result of great poses filled with expression. Zachary: My favorite is the one where I am leaning on the couch wearing a tuxedo. Ray Baldino then made a cool background for the portrait so I look like I am in a concert hall. Amanda: My personal favorite is the one with me in the pink dress sitting down and looking over my shoulder. Carol-Ann: I loved all of the photos that Ray Baldino took of both ny teenages. All images bring out their different attitudes and expressions! My favorite of Zachary is of him holding is viola to his side standing tall, and my favorite of Amanda is a close up of her holding a soccer ball both images using the black and white color as effect. The reason they are my favorite is that is who they are, Zachary a musician and Amandana a soccer player. However, the ones I chose to display in my home are the formal portraits of Zachary in a tuxedo and Amanda in a formal black dress in which they both look absolutely stunning.